My prospects are that Jennifer A. Doudna and Emmanuelle Charpentier will be awarded the Nobel Prize for their joint contribution to the study of the many different flavors of the enzyme Cas9 that occur naturally. The Basic Research that has led to development of the Gene Editing technology and to Clinical Applications will better the human condition negatively affected by genetic and genomic alterations. 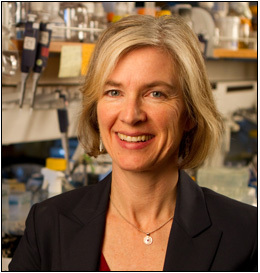 Doudna was a Searle Scholar and received a 1996 Beckman Young Investigators Award, the 1999 NAS Award for Initiatives in Research and the 2000 Alan T. Waterman Award. She was elected to the National Academy of Sciences in 2002 and to the Institute of Medicine in 2010. In 2014, Doudna was awarded the Lurie Prize in Biomedical Sciences from the Foundation for the National Institutes of Health as well as the Dr. Paul Janssen Award for Biomedical Researchand Breakthrough Prize in Life Sciences, both shared with Emanuelle Charpentier. Science Nov 2014; 346(6213) 1258096:1077 – 1087. Multiplex Automated Genome Engineering (MAGE), is an intentionally broad term. In practice, it has come to be associated with a very efficient oligonucleotide allele-replacment (lambda red beta), so far restricted mainly to E.coli. CRISPR, in contrast, works in nearly every organism tested. Relevant companies: EnEvolv, Egenesis, Editas. 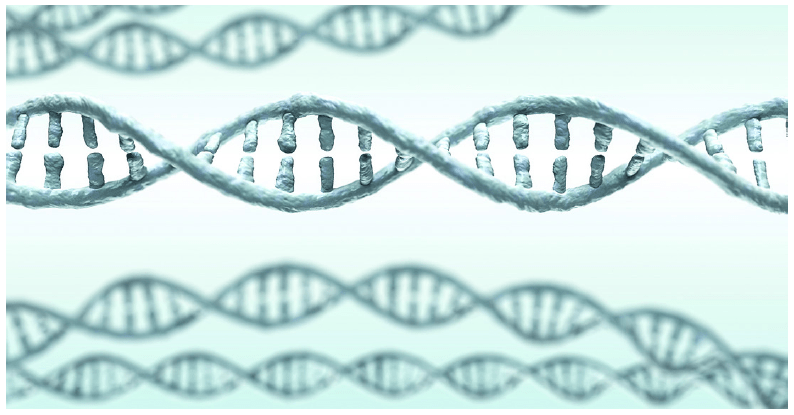 2013 Probing the limits of genetic recoding in essential genes. Science. 2013 Genomically Recoded Organisms Impart New Biological Functions. Science. 2013 CAS9 transcriptional activators for target specificity screening and paired nickases for cooperative genome engineering. Nature Biotech. 2009 Programming cells by multiplex genome engineering and accelerated evolution. Nature. In a new perspectives piece in Science, Nobel Laureate David Baltimore and co-authors including Jennifer Doudna and George Church, chart a potential path forward for human genomic engineering involving germline modification. See also accompanying Bioethics piece by Gretchen Vogel as well, “Embryo engineering alarm”. 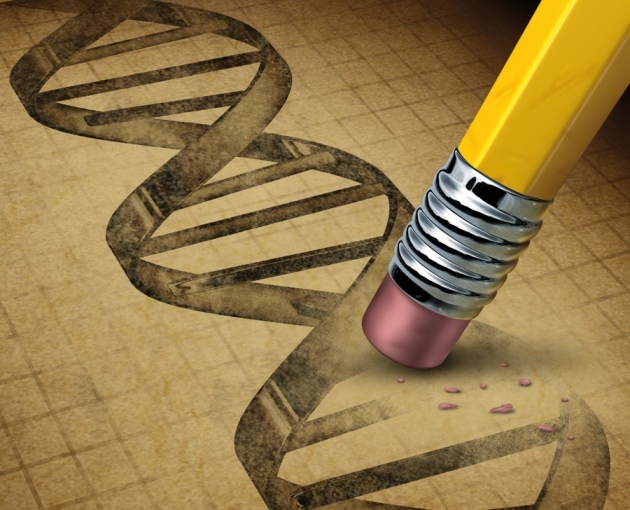 In the piece, entitled “A prudent path forward for genomic engineering and germline gene modification” calls for further discussion and assessment of key potential benefits and risks to moving forward with this technology. The illustration included here is from the piece. The piece is reflective to a large extent of conclusions from a recent meeting held in Napa on this issue. They make 4 more specific recommendations. Strongly discourage clinical application of this technology at this time. Encourage open research to evaluate the utility of CRISPR-Cas9 technology for both human and nonhuman model systems. Hold an international meeting to consider these issues and possibly make policy recommendation. CRISPR-Cas9 gene editing technology is a game changer on many levels both inside and soon outside the lab. There is a growing sense of urgency amongst biomedical scientists to take a proactive approach to current and future use of CRISPR technology in human germ cells and embryos. These concerns have been heightened by rumors of multiple papers currently in various stages of peer review that will reportedly describe CRISPR-mediated gene editing of human embryos. A number of scientists and scientific organizations have recently come out with policy statements on human germline genetic modification: Lanphier, et al.Nature, Baltimore, et al. Science, and ISSCR. I’ve outlined a proposed plan (see figure below) that I call ABCD for simplicity to try to practically manage the situation with human germline genetic modification. This plan shares a few key features with some of those already proposed by others, but in some ways it is different or more specific. This ABCD idea is just a possible plan coming from one person (me) with the intention of positively adding to the overall dialogue. My view is that in vitro research on genetically modified human germ cells and early embryos–with appropriate training and oversight–is ethical and can in fact be of great value. 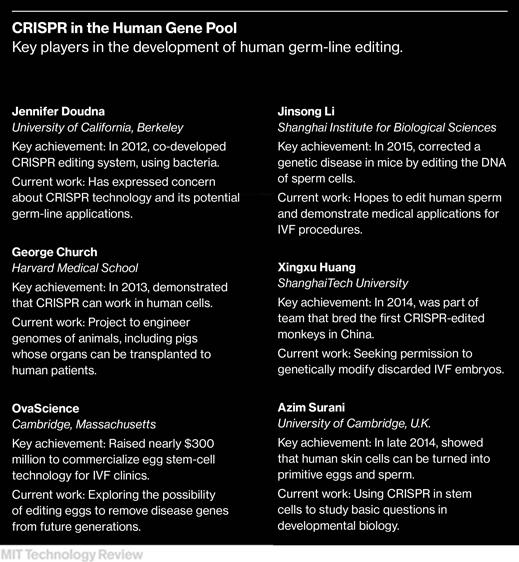 Such work will provide new, valuable information about gene editing itself and early human development, fertility, and more. Therefore, such research should not be prohibited, but should only be conducted under certain conditions. An initial meeting was held earlier this year in Napa that led to a recent commentary piece in Science. Other views have been published as well including Lanphier, et al. inNature and I have put out there my own perspectives with a roadmap I call the ABCD plan. Electroporation Knows No Boundaries: The Use of Electrostimulation for siRNA Delivery in Cells and Tissues J Biomol Screen 1 September 2015: 932–942. CRISPR-Cas9-Mediated Genome Editing in Leishmania donovani mBio 1 September 2015: e00861-15. Candida glabrata: new tools and technologies–expanding the toolkit FEMS Yeast Res 1 September 2015: fov066. Model Organisms in G Protein-Coupled Receptor Research Mol. Pharmacol. 1 September 2015: 596–603. Generation of knock-in primary human T cells using Cas9 ribonucleoproteins Proc. Natl. Acad. Sci. USA 18 August 2015: 10437–10442. CRISPR-ERA: a comprehensive design tool for CRISPR-mediated gene editing, repression and activation Bioinformatics 10 August 2015: btv423v2–btv423. Utilization of TALEN and CRISPR/Cas9 technologies for gene targeting and modification Exp Biol Med (Maywood) 1 August 2015: 1065–1070. Efficient inversions and duplications of mammalian regulatory DNA elements and gene clusters by CRISPR/Cas9 J Mol Cell Biol 1 August 2015: 284–298. Chromatin organization in pluripotent cells: emerging approaches to study and disrupt function Briefings in Functional Genomics 23 July 2015: elv029v1–elv029. Enriching CRISPR-Cas9 targeted cells by co-targeting the HPRT gene Nucleic Acids Res 16 July 2015: gkv675v2–gkv675. Systematic Evaluation of Drosophila CRISPR Tools Reveals Safe and Robust Alternatives to Autonomous Gene Drives in Basic Research G3 10 July 2015: 1493–1502. Efficient Gene Disruption in Cultured Primary Human Endothelial Cells by CRISPR/Cas9 Circ. Res. 3 July 2015: 121–128. Induced pluripotent stem cell technology for modelling and therapy of cerebellar ataxia Open Biol 1 July 2015: 150056. A Cas9-guide RNA complex preorganized for target DNA recognition Science 26 June 2015: 1477–1481. Efficient CRISPR/Cas9-Mediated Genome Editing in Mice by Zygote Electroporation of Nuclease Genetics 1 June 2015: 423–430. Multiplex Conditional Mutagenesis Using Transgenic Expression of Cas9 and sgRNAs Genetics 1 June 2015: 431–441. Functional validation of mouse tyrosinase non-coding regulatory DNA elements by CRISPR-Cas9-mediated mutagenesis Nucleic Acids Res 26 May 2015: 4855–4867. Core Concept: CRISPR gene editing Proc. Natl. Acad. Sci. USA 19 May 2015: 6245–6246. DNA and RNA interference mechanisms by CRISPR-Cas surveillance complexes FEMS Microbiol Rev 1 May 2015: 442–463. CRISPR-Cas9: a new and promising player in gene therapy J. Med. Genet. 1 May 2015: 289–296. Advances in CRISPR-Cas9 genome engineering: lessons learned from RNA interference Nucleic Acids Res 20 April 2015: 3407–3419. Adoptive cell transfer as personalized immunotherapy for human cancer Science 3 April 2015: 62–68. A prudent path forward for genomic engineering and germline gene modification Science 3 April 2015: 36–38. CRISPR-Cas9: how research on a bacterial RNA-guided mechanism opened new perspectives in biotechnology and biomedicine EMBO Mol Med. 1 April 2015: 363–365. A Candida albicans CRISPR system permits genetic engineering of essential genes and gene families SciAdv 1 April 2015: e1500248. Dramatic Enhancement of Genome Editing by CRISPR/Cas9 Through Improved Guide RNA Design Genetics 1 April 2015: 959–971. Ubiquitylation, neddylation and the DNA damage response Open Biol 1 April 2015: 150018. Silencing of end-joining repair for efficient site-specific gene insertion after TALEN/CRISPR mutagenesis in Aedes aegypti Proc. Natl. Acad. Sci. USA 31 March 2015: 4038–4043. Adoptive cellular therapy: A race to the finish line Sci Transl Med 25 March 2015: 280ps7. Electrical synapses connect a network of gonadotropin releasing hormone neurons in a cichlid fish Proc. Natl. Acad. Sci. USA 24 March 2015: 3805–3810. A short guide to technology development in cell biology JCB 16 March 2015: 655–657. Rational design of a split-Cas9 enzyme complex Proc. Natl. Acad. Sci. USA 10 March 2015: 2984–2989. Zebrafish: A New Companion for Translational Research in Oncology Clin. Cancer Res. 1 March 2015: 969–975. New opportunities at the wild frontier elife 1 January 2015: e06956.